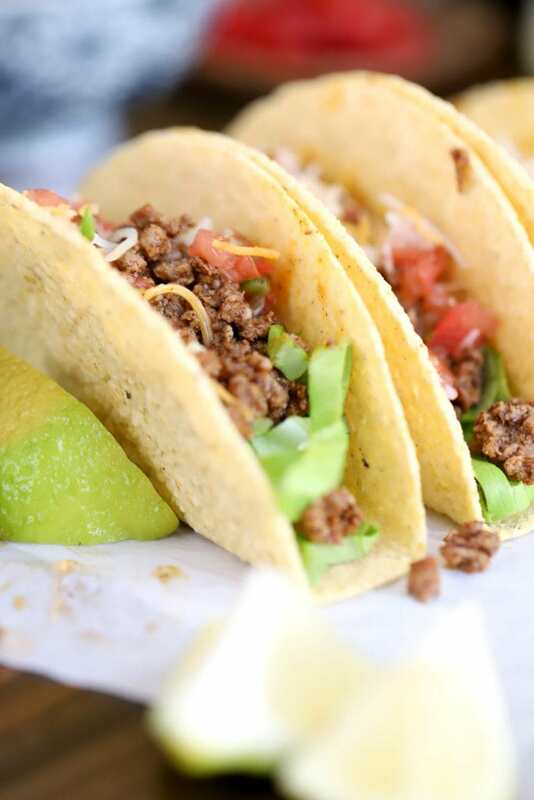 For Taco Tuesday hard-shell tacos, DUH. We have less than a month until Cinco de Mayo! 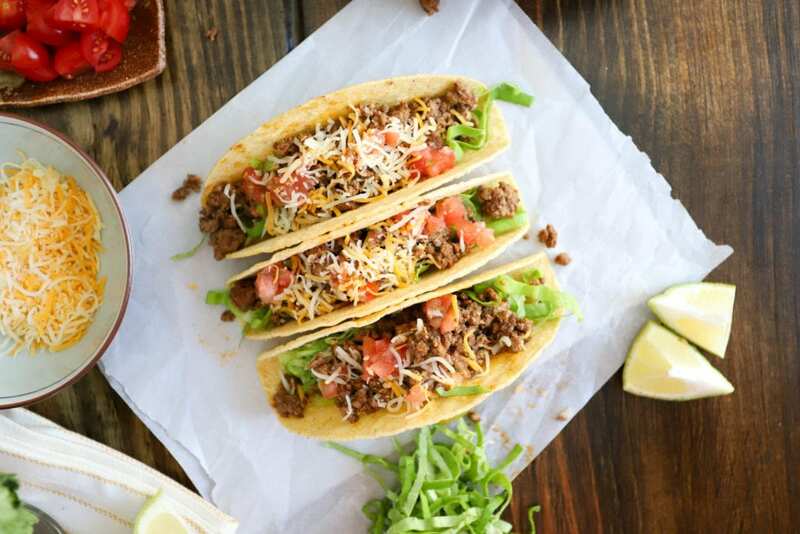 This is excellent news because MEXICAN FOOD OBVS. Mexican and Indian are my true all the time, tried and true, even love the leftovers, favorite cuisines of all time. 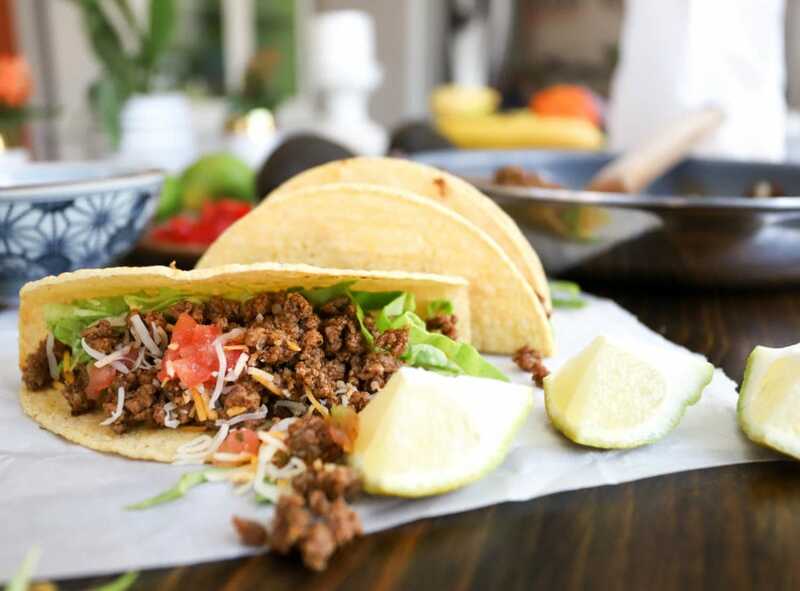 We eat a variation of each at least once per week, and I love that Mexican food specifically lends itself to so many different types of foods, uses for extra veggies, all of the good stuff. Plus: flavor. condiments. cilantro. To start off this celebration of Mexican fare, I went super basic and probably not very authentic at all. 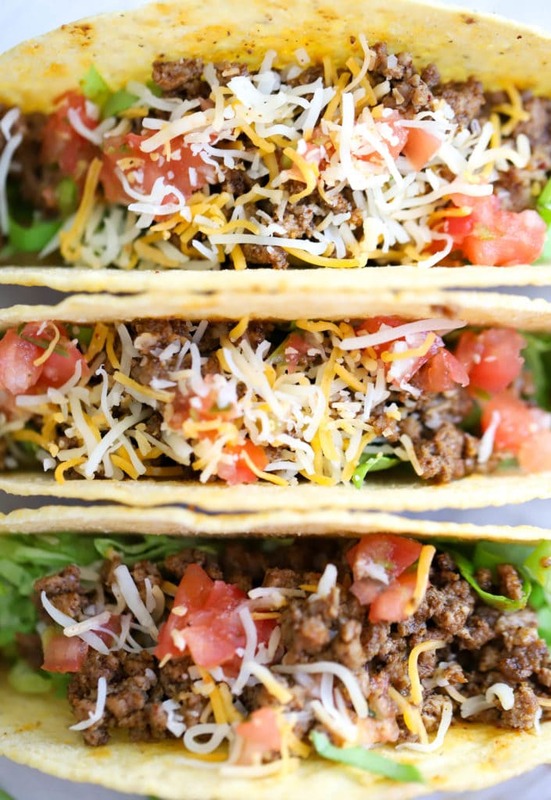 I am a huge sucker for plain ground beef, though, and this version is super simple and foolproof – no seasoning packet necessary. 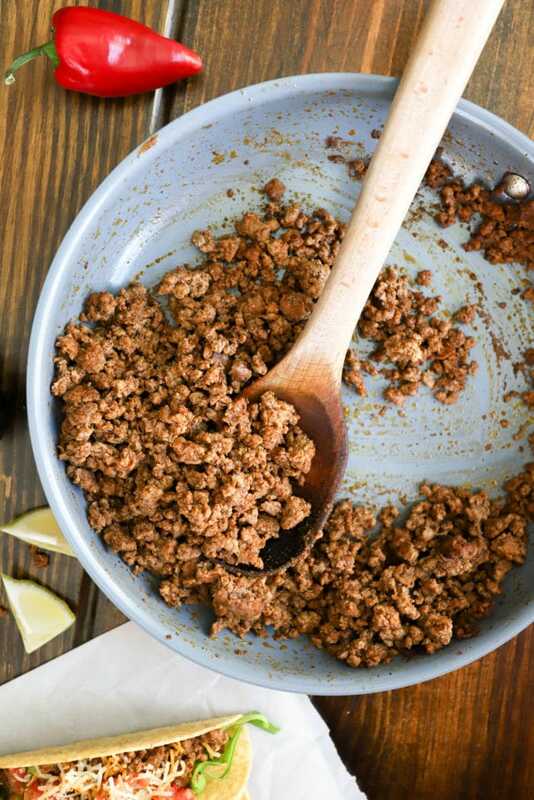 I use the same spice blend with crumbled tofu, ground chicken, even fish flaked for tacos, and the results are delicious and adored each time. 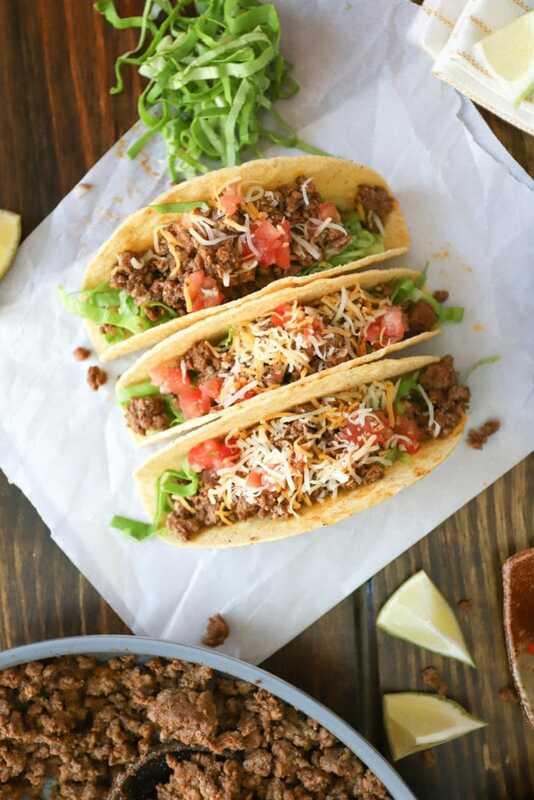 How you use the beef is up to you – hard shell tacos are so fun and easy, but this is great on salads, in burritos, or as a part of any other Mexican meal you enjoy. I love making a batch of this at the beginning of the week and using it several ways for a few meals. You need ground beef, any kind you like. The spices are seasoned salt (or regular salt if you don’t keep seasoned salt around), chili powder, cumin, onion powder, , and garlic powder. 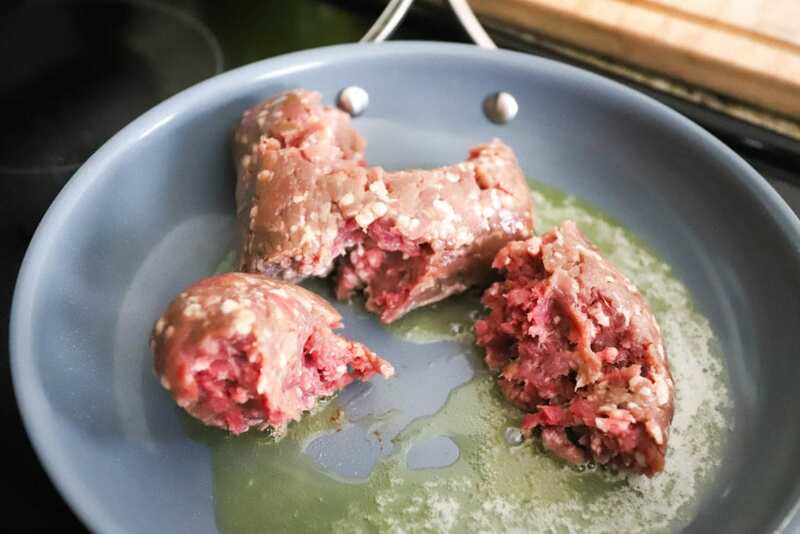 The beef is cooked in a combination of oil and butter and we simmer it with some water for just a few minutes before serving. To make this, heat a skillet over medium-high heat with the oil and butter. When the skillet is very hot, add the beef and break it up with a spoon. Let the beef sit for about a minute between stirring each time to develop a crust on the outside. After about 5 minutes, add the spices to the skillet and stir them into the beef. Let the spices cook for two minutes, then add the water and simmer for about three minutes to make a teensy bit of a sauce and meld the flavors. Taste the beef and add any more of the spices that you’d like. You can also sprinkle in some hot sauce or cayenne pepper if you like things spicy! Now, serve. The serving options and topping ideas for a simple beef like this are endless. One of our favorite dinners is a batch of red Mexican rice, this beef, and any toppings we can quickly grab out of the fridge. Sometimes I make some quick skillet fajita veggies, sometimes we cut up a bunch of lettuce and tomatoes and call it a salad on our rice bowls. Add this to your weeknight arsenal – it’s so versatile that the meals you use it in will feel different each time, and you’ll never have to force the leftovers on anyone (if there even are any). Preheat a skillet to medium-high heat with the oil and butter. When the skillet is hot, add the beef and cook for about 5 minutes, breaking it up with a spoon as you go. Add all of the spices to the skillet and stir to combine for 2 minutes. 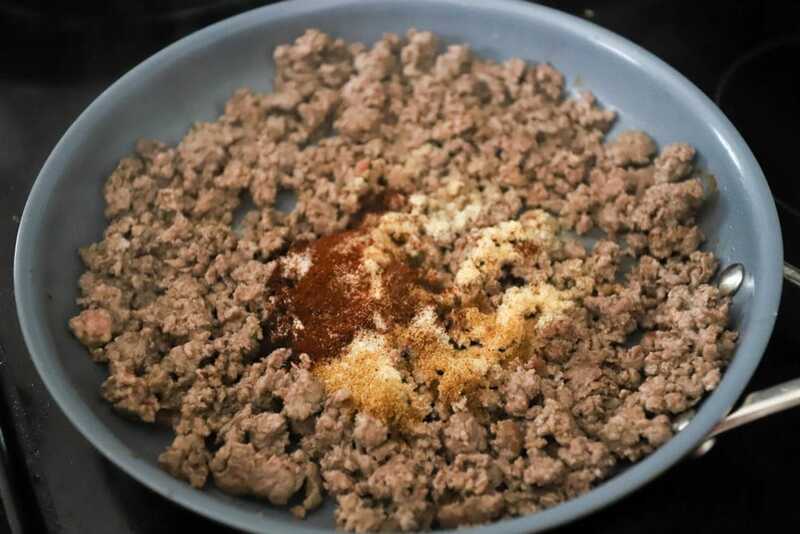 Pause between stirring to allow the beef and spices to toast together. Add the water to the skillet and let reduce until there is just a bit of sauce left in the skillet. 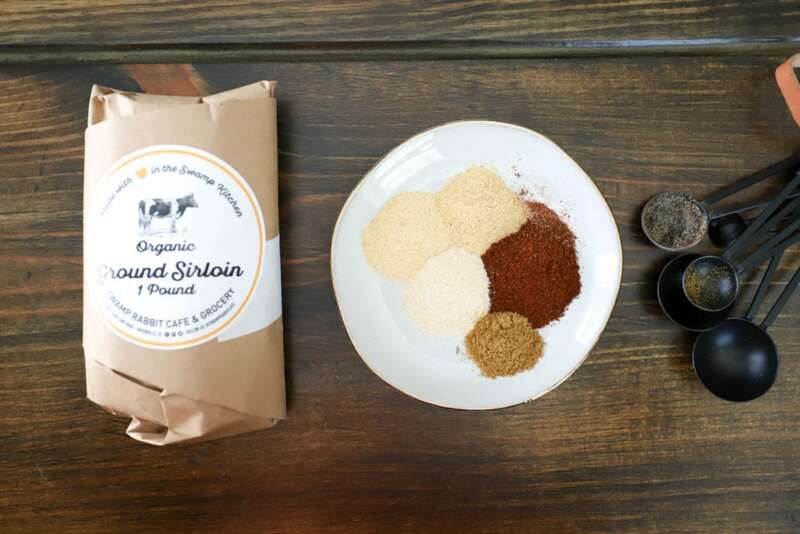 Taste the beef and season additionally with any of the spices as desired. 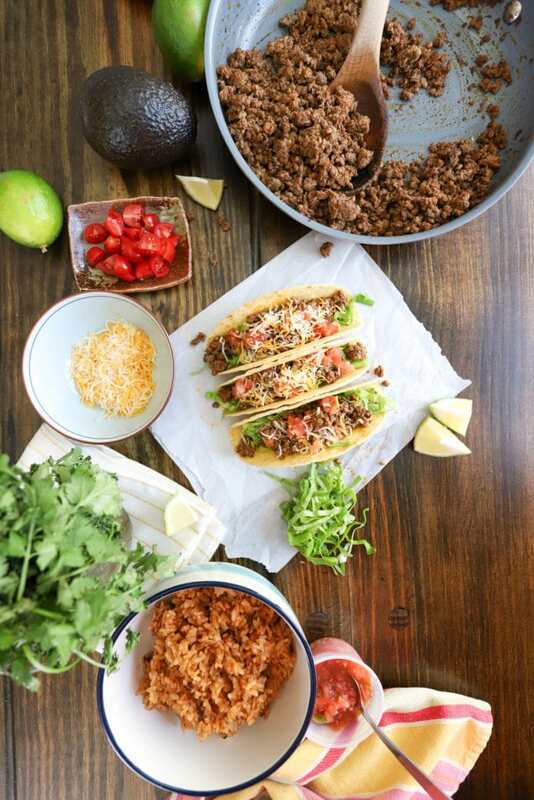 Serve in tacos, burritos, over rice, or with salads. Excessive toppings encouraged. Enjoy!